BLOOMSBURG — Big boost to the local economy this week in Columbia and Montour counties…Columbia-Montour Restaurant Week starts Friday, and this year it will showcase 23 local restaurants, wineries, and breweries. 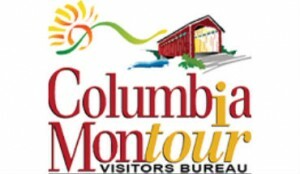 Organizers at the Columbia & Montour Visitors Bureau tell us each location will offer special menu items, discounts, live music, and other events throughout the week. Special features include handcrafted three-course meals, tailored wine pairings, and free or discounted appetizers. A special giveaway will also be open for participants who submit photos of their meals during Restaurant Week on social media, with #CMVBRestaurantWeek19. We have a link of the full list of participants posted here.